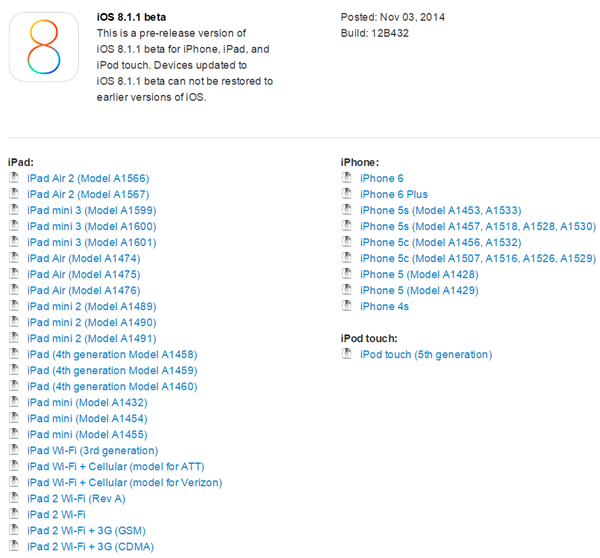 Apple has released iOS 8.1.1 beta 1 download to iOS Dev Center. This is the first pre-release software since iOS 8.1 was released to public in October this year. While iOS 8.1 brought support for Apple Pay and other improvements, iOS 8.1.1 is mostly focused towards bug fixes and performance improvements. According to official changelog on the Apple’s Dev Center. This release includes bug fixes, increased stability and performance improvements for iPad 2 and iPhone 4s. Regarding Pangu jailbreak, it is still unknown whether 8.1.1 patches Pangu exploits or not. We’ll let you know as soon as Pangu team confirms this. Stay tuned for more on this. If you are a registered developer, iOS 8.1.1 can be downloaded by signing using your Apple ID account on iOS Dev Center. 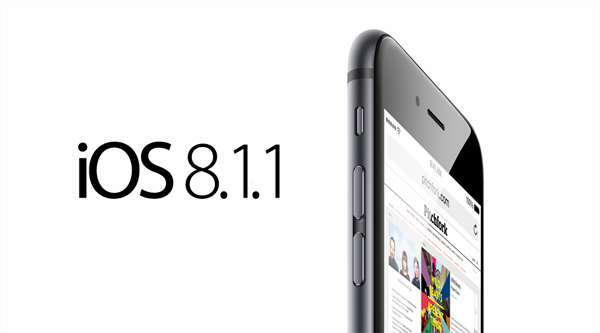 iOS 8.1.1 beta 1 is available for all the iOS 8 supported devices. A beta build for Apple TV 3rd-generation is also available. Earlier today, Apple also released first beta of OS X 10.10.1 Yosemite. Same here, im waiting on atfdl or imzdl. Update me if u found any! thanks man. I’m getting so very tired of playing the jail-breaking game with Apple. Why can they put their energy into making a more bug free product than trying to frustrate those of us who jailbreak. If Apple adhered to their original boast of being the company for creative people who marched to their own drummer rather than trying to herd us all into following them in lock step, the need to jailbreak (and the number of people who JB) would be closer to nil. Slacking on the download links… come on. * Could I send my “E – Mail” iOS 8.1.1 Download Links “…?